First Strata will consider buying land of all types; from strategic land with investment potential to grazing land. Listed below are the types of land wanted. Our clients recognise the 'hope value' of land and consequently will pay significant premiums for investment land fitting their criteria. Our land buyers are particularly interested in buying agricultural land, over 2 acres in size, that is near existing development with the benefit of good access and road frontage. We have clients with a requirement for grazing and pasture land throughout England. This may be for equestrian or livestock grazing purposes and may be bare land or land with residential and/or agricultural buildings. Rates paid will vary depending on size, location and on-site services. Our clients may be prepared to pay premiums for grazing and pasture land that benefits from good access arrangements and is situated close to settlements. We will consider acreages of 2 acres and upwards. 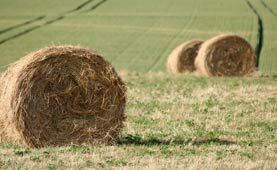 We have clients with a requirement for arable land and farmland throughout England. This may be land bare land or land with residential and/or agricultural buildings. Rates paid will vary depending on agricultural grade, size, location and on-site services. Our clients may be prepared to pay premiums for arable and farmland land that benefits from good access arrangements and is situated close to settlements. We will consider acreages of 2 acres and upwards.